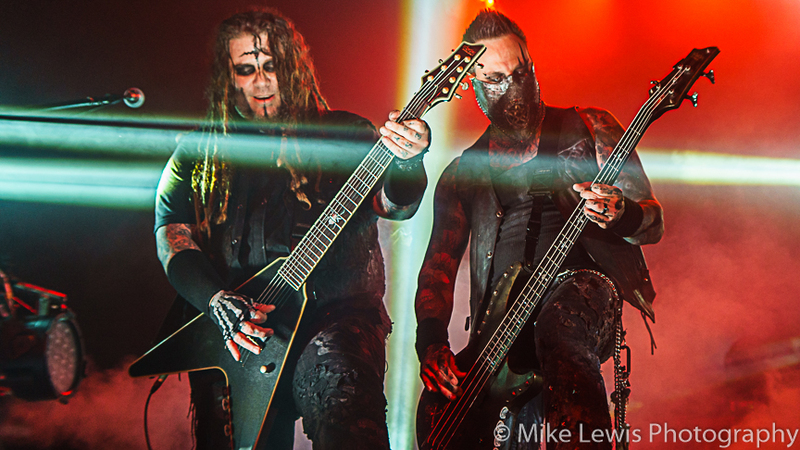 KNAC.COM - Reviews - IN THIS MOMENT In Portland, OR With Photos! 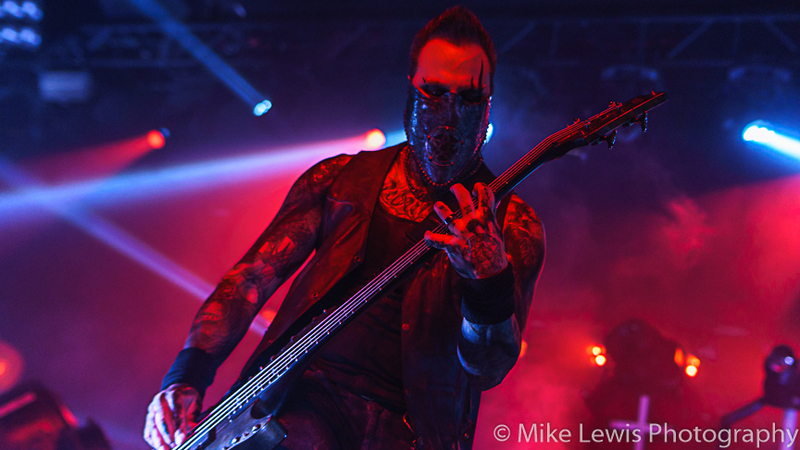 IN THIS MOMENT In Portland, OR With Photos! 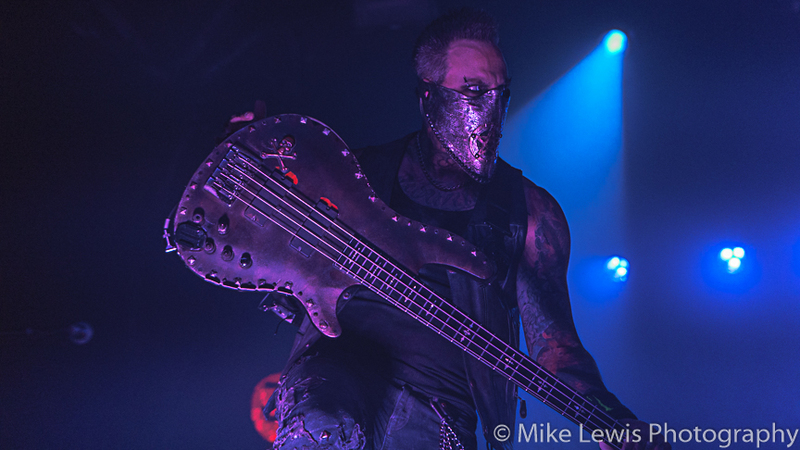 As ‘Daze Of The Dead’ in Portland, OR began to wind down it was appropriate that the very theatrical IN THIS MOMENT made a stop in The Rose City. 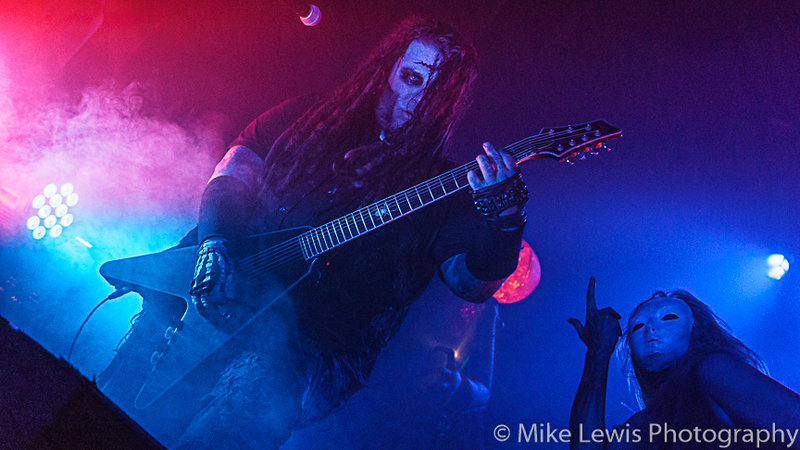 The previous time IN THIS MOMENT performed in Portland was across town at The Hawthorne Theater [also a sold out event]. 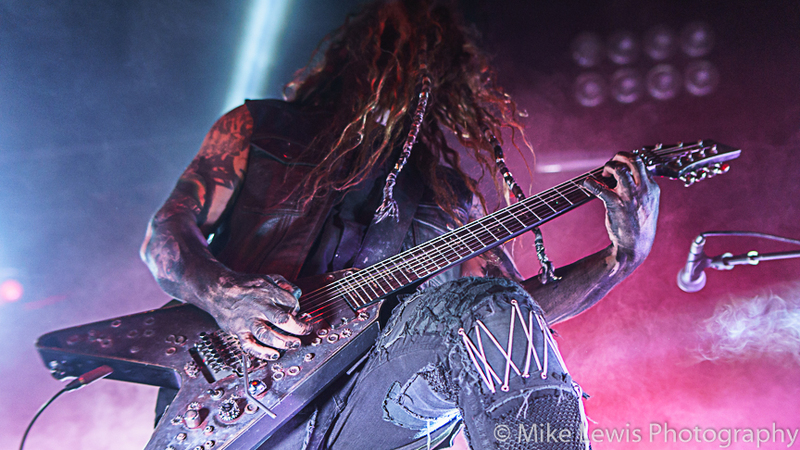 There was some question as to how ‘live’ that performance was. 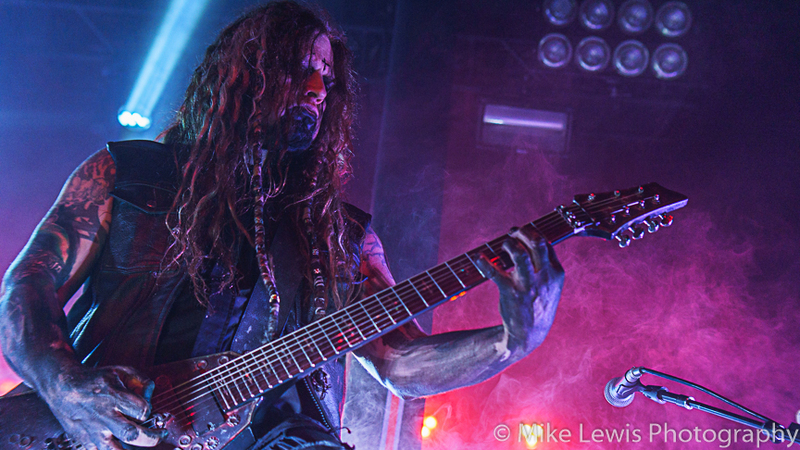 The set featured a haze from overuse of their smog machines, and it took away from the performance and the production. I do have to note that on that occasion Maria sounded much too ‘perfect’ and not ‘in the moment’. As their set time approached classic metal blasted through the house PA. Once “Ghostbusters” came on followed by “Thriller” as start time grew near. Then the barrage smog [once again] covered the stage and then came the flashback of the previous Portland performance. 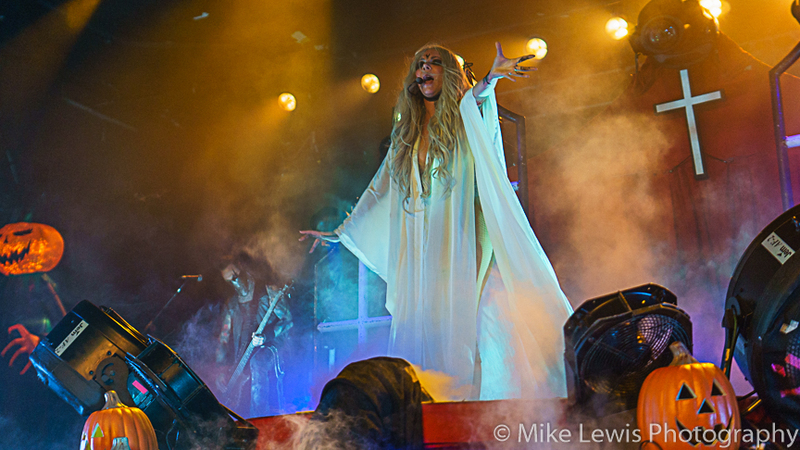 Maria Brink and Co opened with “Blood”, they were silhouettes behind the thick ‘faux fog’—they sounded abrasive, bombastic and the vocal was ‘live.’ IN THIS MOMENT are riding high off the critical acclaim of their latest effort Ritual. 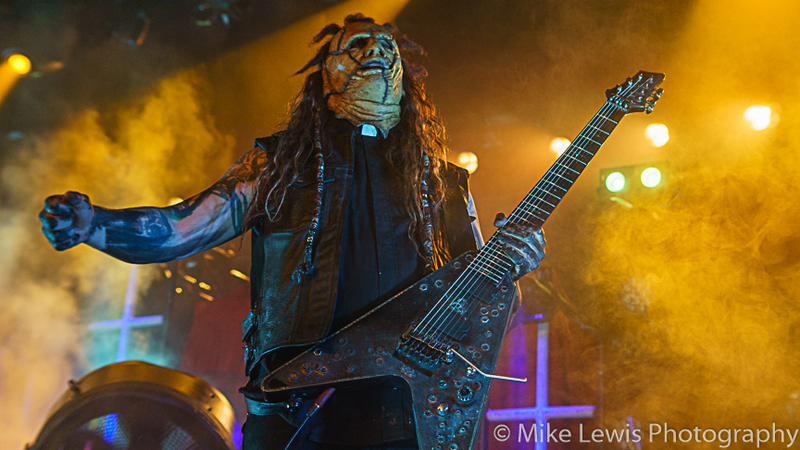 Portland got a heavy dose of the album with “Roots”, “Lay Your Gun Down”, “River Of Fire”, with “Black Wedding”, “In The Air Tonight” and “Oh, Lord” receiving a glorious response by the audience. There was a drum solo that followed the band intros; followed by a band jam of “For Whom The Bell Tolls” leading into “Creeping Death”. ‘The Jam’ showcased to those that haven’t seen the band in action before; that they most certainly do have chops. ‘The Jam’ made the drum solo seem unnecessary and reminded us just how passé drum solos are in 2017. 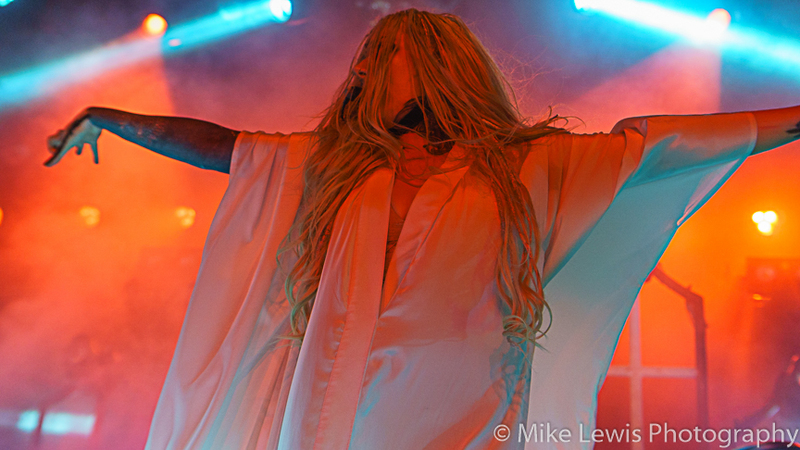 Maria Brink and IN THIS MOMENT have abandoned ‘metal-core’ which helped launch their career, they have polished their sound, refined their image, added a healthy helping of melody and have dialed up the theatrics. 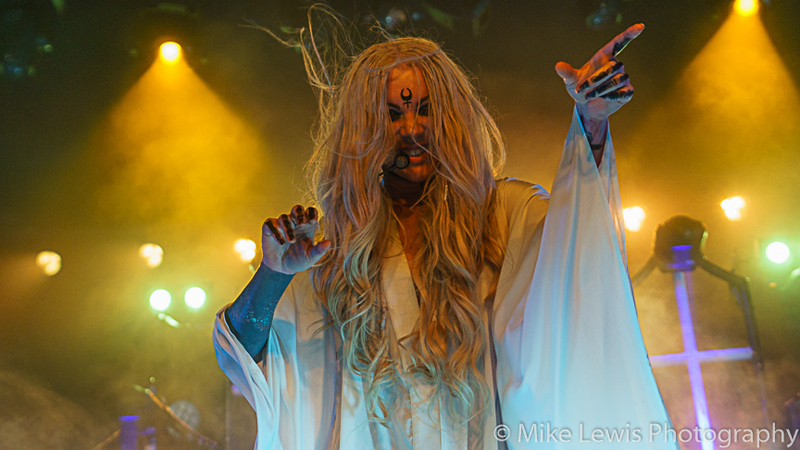 Maria Brink is fantastic as a performer, singer and she’s not taken the easy road and exploited her sexuality. 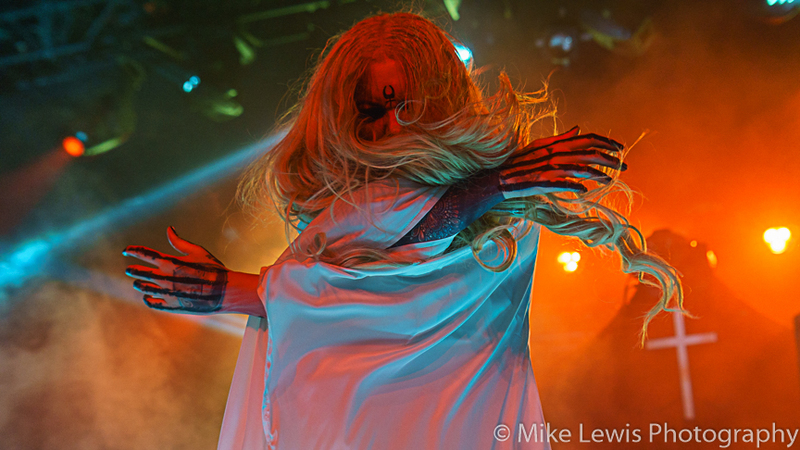 She had several costume changes throughout the performance and left something to the imagination. That’s commendable. 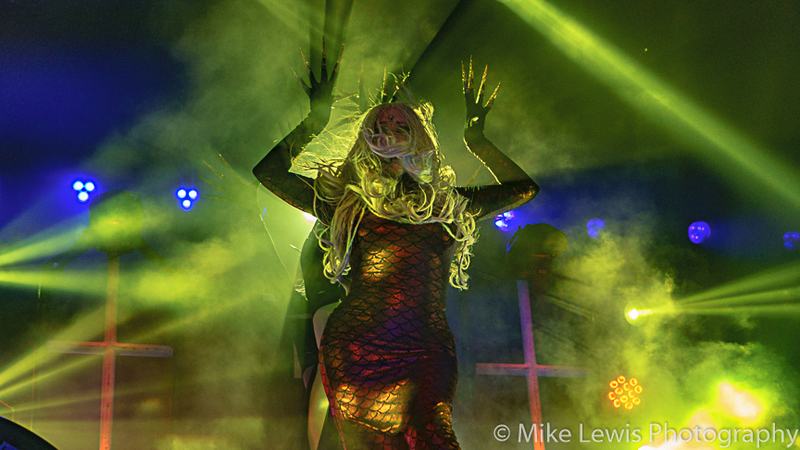 IN THIS MOMENT closed out the night with “Whore” which is an anthem about empowerment. This band is at the top of their game.